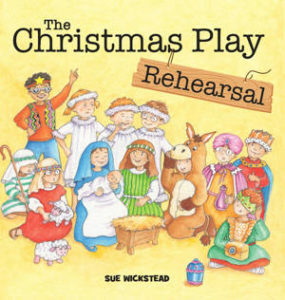 I’m so pleased to be reviewing The Christmas Play Rehearsal by Sue Wickstead today. 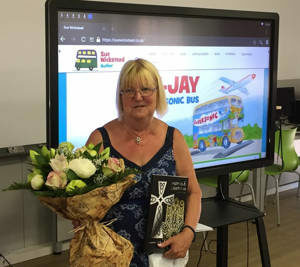 My thanks to Rachel Gilbey from Rachel’s Random Resources for the place on the tour and to the author for kindly providing a copy of the book for review purposes. This is the perfect book to read with school aged children at this time of year. My son is getting ready to take part in his first ever Christmas play. When I first read it the play wasn’t even on the horizon, but the second time it had a much greater relevance and my son really enjoyed the parallels with his own experiences. The author is a trained teacher so knows exactly what she’s talking about and I think she got it spot on. It’s a lovely story of a group of schoolchildren learning about the nativity, learning their lines and practising their roles right up to the end of the dress rehearsal. You might think this is a strange place for the story to end, in that you might think the ending would be the first proper performance. But the beauty of this story is that it shows mistakes and all the little problems that need to be ironed out, and so highlights that it’s ok to get it wrong. The illustrations are perfect, vibrant and fun, and they really enhance the story. My four year old enjoyed this book a lot and I so did I. It made me smile and made me feel quite glad that I’m not the one trying to organise the play! Thank you for your review, of the Christmas Play Rehearsal, and I am glad you and your son enjoyed it. It’s always a great event in the school calendar and an important one to. You’re welcome, Sue. It is a very important event – there will be tears (mine!). I wonder how many schools and children have got to the end of all the Christmas Rehearsals and performances. Hopefully not too many problems on the way.